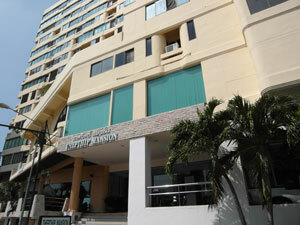 Thep Thip Mansion Pattaya Pratumnak Hill is located close to the nicest beaches in Pattaya and close to Pattaya water park and tower. Excellent location. Take me to the condo listings. 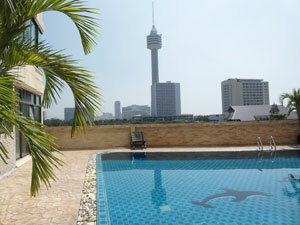 Relax by the pool or take a walk to some of the nicest beaches in Pattaya Pratumnak. 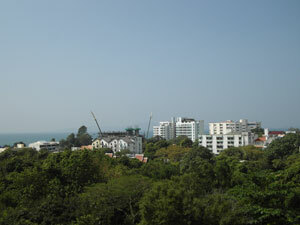 Click here for a Google location Map of Thep Thip Mansion Pattaya Thailand. Opens in a new window. 24 hours reception, communal swimming Pool, covered parking, Laundry Service, 24 hour Security & CCTV plus key card system, WiFi Internet available, coffee shop. Features: kitchen fully kitted out, air-con & ceiling fans, TV & DVD, fully furnished. 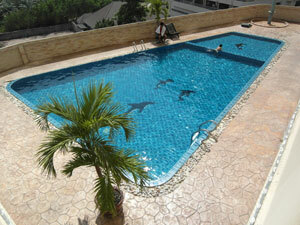 Rent: 11,000 - 17,000 Baht per month. Depending on season and length of stay.